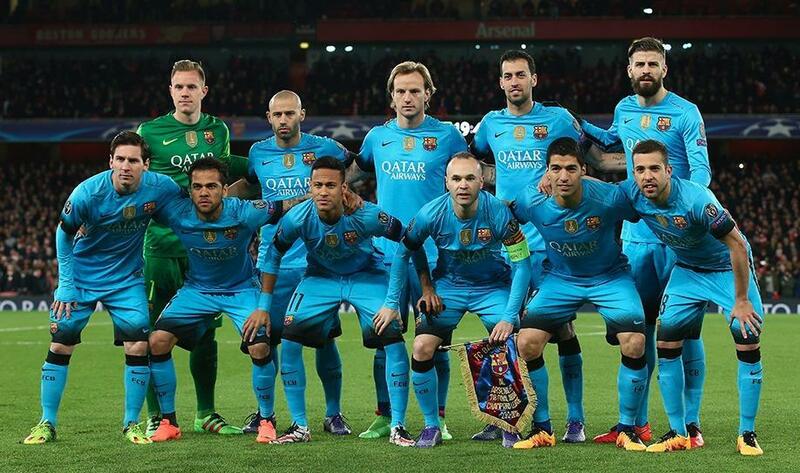 1/12 Inspired by Lionel Messi, the Blaugranas beat a record of La Liga which was in force since 1989. 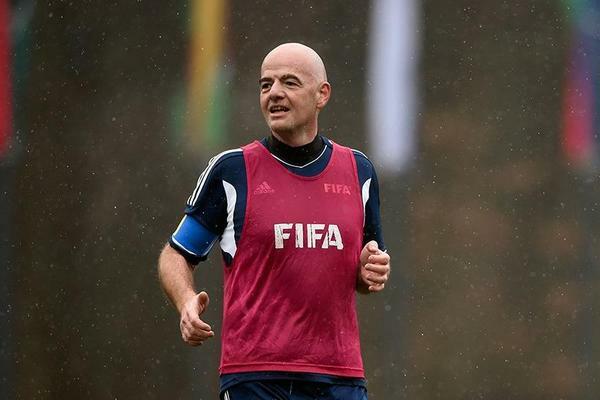 In addition, Gianni Infantino revealed his new proposals for FIFA. 2/12 Rayo Vallecano 1-5 Barcelona: Record-breaking visitors move eight points clear: Barcelona moved eight points clear at the top of La Liga with a 5-1 victory over Rayo Vallecano that saw Luis Enrique's side make history by going 35 games unbeaten, beating Real Madrid's Spanish record. 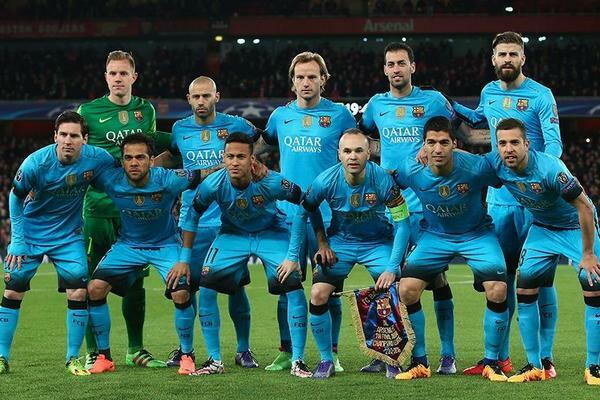 Ivan Rakitic opened the scoring midway on 22 minutes, taking advantage of a goalkeeping error from Juan Carlos. 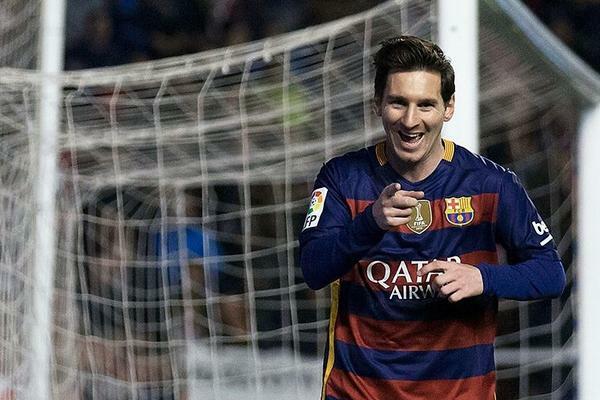 Just over a minute later Lionel Messi had doubled Barça lead. 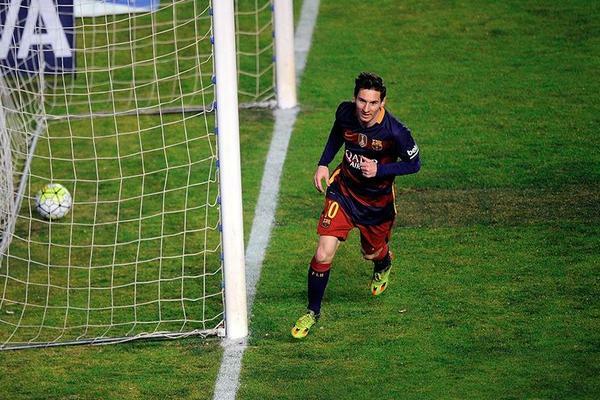 Diego Llorente was sent off shortly before the break and Messi made the extra man count 10 minutes in the second half. Although Manucho grabbed one back for the hosts, they were dealt another blow when Manuel Iturra saw. 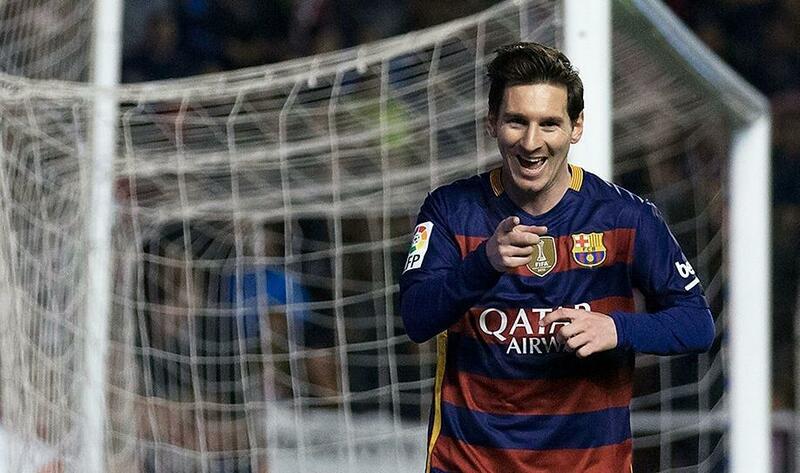 Messi scored his third of the evening just minutes after. 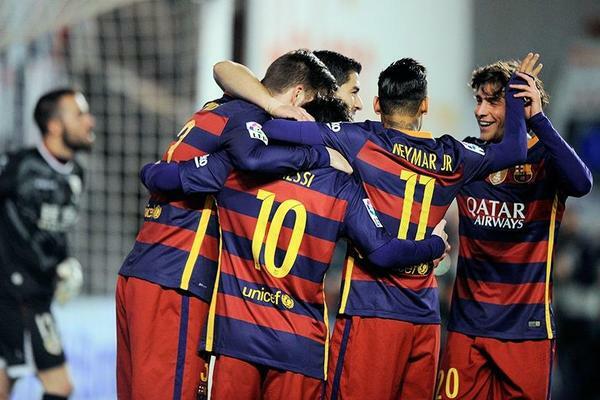 Arda Turan then completed the scoring in the 85th minute, his first Barcelona goal. 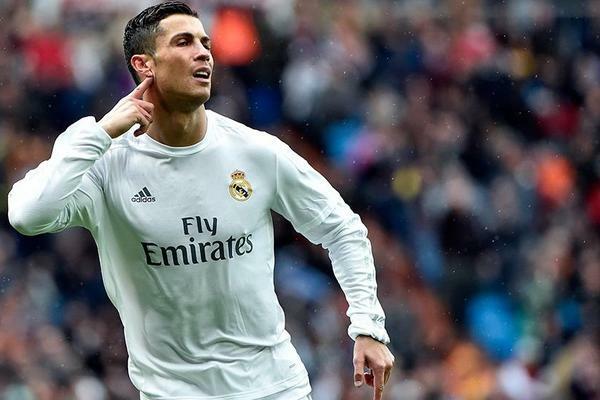 3/12 Real Madrid 7-1 Celta Vigo: Ronaldo quadruple obliterates visitors: Real Madrid tore apart Celta Vigo, thanks in large part to a Cristiano Ronaldo poker, as they made an explosive continuation to their efforts to repair their Primera Division title challenge with a 7-1 triumph. Pepe opened the scoring in the run-up to half-time before Ronaldo stepped up a gear after the break, netting his first three goals in a period of less than 15 minutes before going on to hit a fourth. Iago Aspas had scored a consolation goal for the visitors but Jese Rodriguez and Gareth Bale completed the rout with efforts of their own. 4/12 Lionel Messi gets 300th goal of Luis Enrique’s Barcelona: Barcelona reached 300 goals since Luis Enrique is coach in the 5-1 win over Rayo Vallecano. 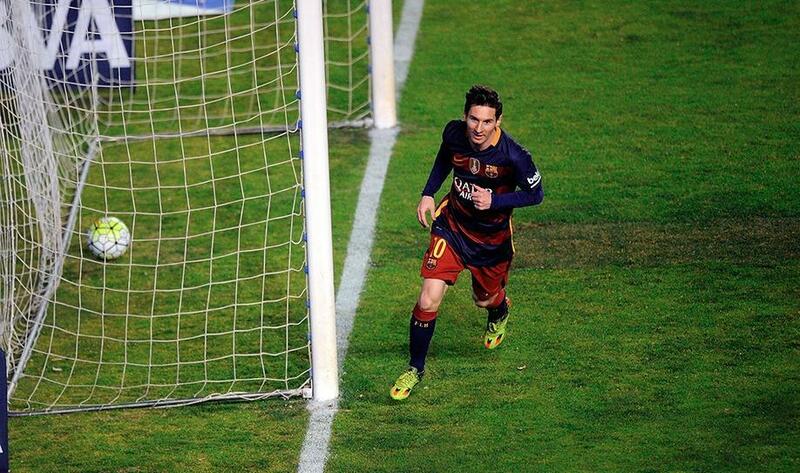 And that mark was reached after a goal of its biggest star, Lionel Messi, who at that time put the 0-2 on the scoreboard. The Argentine also would be the author, minutes later, the goals 301 and 302. Then, Arda put the final 1-5 and the goal number 303. 5/12 Cristiano Ronaldo reaches 250 La Liga goals: Real Madrid's Cristiano Ronaldo has made history yet again, this time scoring his 250th La Liga goal. 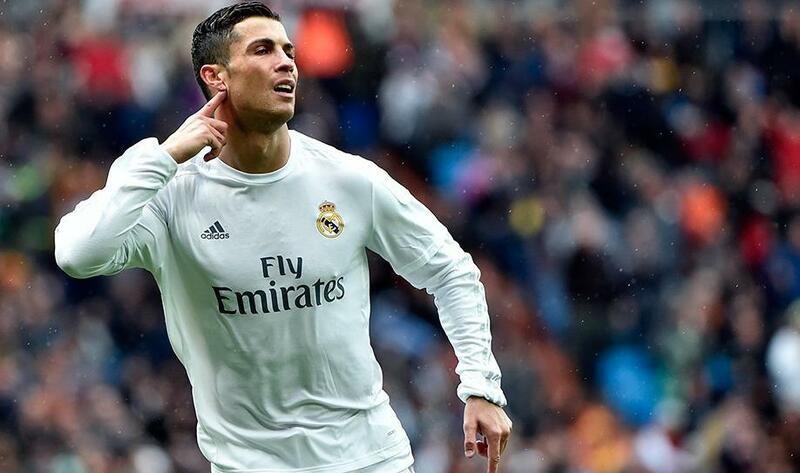 The 31-year-old scored four times in Madrid's 7-1 victory over Celta Vigo to take his tally to 252 in the league, becoming the second top scorer of La Liga after beating the legendary Telmo Zarra (250 goals). 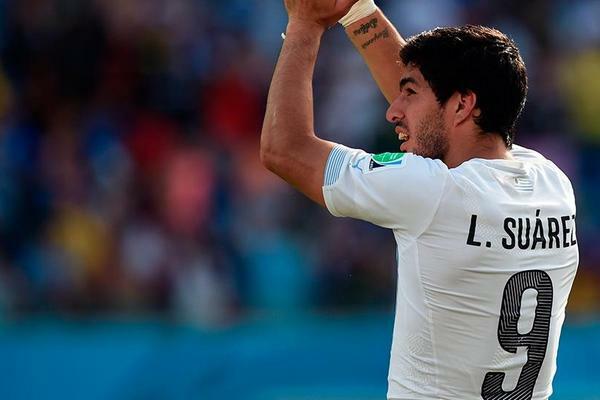 6/12 Luis Suarez will play again with Uruguay after the bite: Luis Suarez will play for Uruguay after serving the penalty of almost two years later of his bite to Chiellini at the World Cup Brazil 2014. 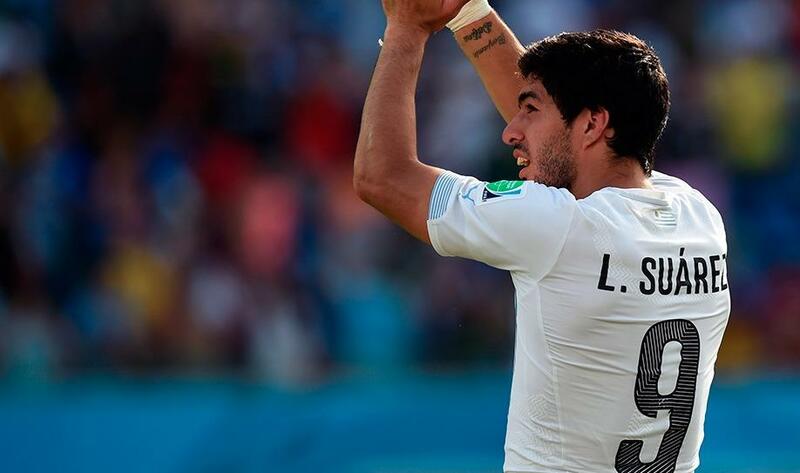 Oscar Tabarez has called Luis Suarez for the next two games of Uruguayan National Team. 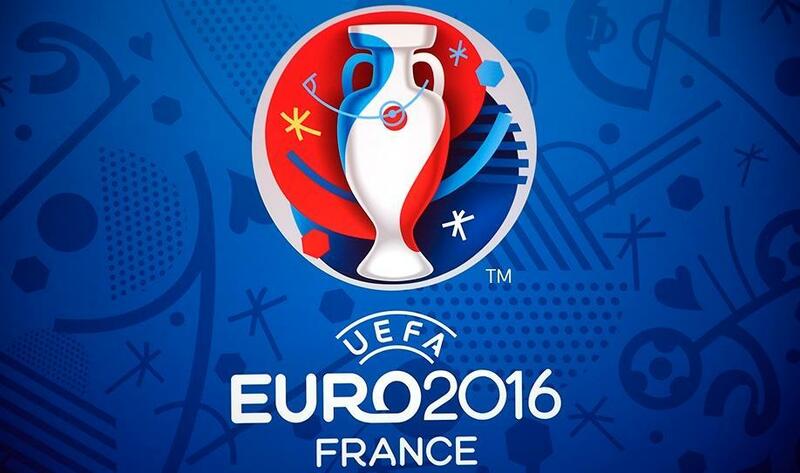 The first of the two games, both corresponding to the qualifiers for the World Cup Russia 2018, will be held on March 25 against Brazil in Recife, and if Suarez play any minute, it will be 640 days since the fateful June 24 2014, when the infamous action took place. 7/12 Gianni Infantino will abolish the penalty and expulsion: There are many voices in football who consider the penalty, sometimes accompanied by red card, is too excessive punishment condemning the team that commits it. 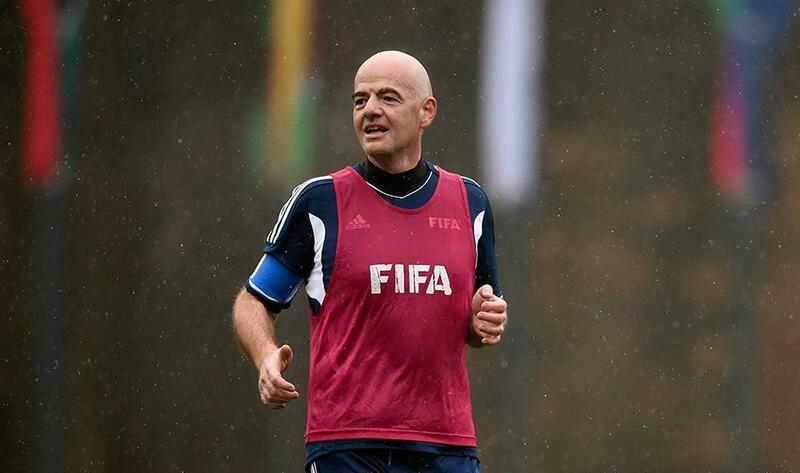 Gianni Infantino, recently elected president of FIFA, announced after the Annual General Meeting of IFAB that he will abolish the penalty and expulsion as long as the offense is committed with the ball in dispute. "The faults in the area will not be punished with a red card, yellow only, unless a violent or did not dispute the ball action," said Infantino. 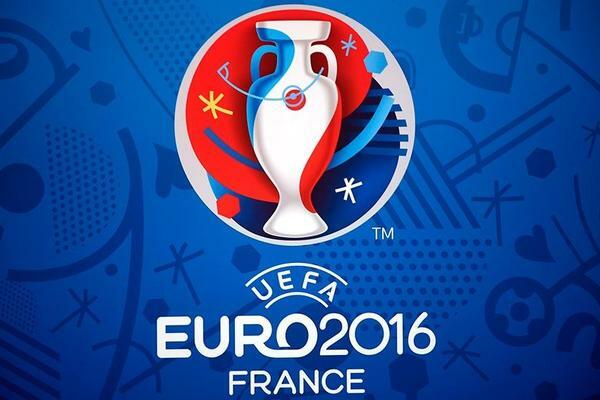 8/12 Euro 2016 contingency plans include games behind closed doors: The French organisers insist that everything possible is being done to ensure that players and spectators are safe at Euro2016 but tournament director Martin Kallen has confirmed that contingency plans have been made to move games and play them behind closed doors if necessary to ensure that the competition is completed on schedule. 9/12 Messi and Barcelona receive Laureus Award nominations: Lionel Messi and Barcelona have received nominations for the prestigious Laureus Awards, which take place in Berlin later this year. The 28-year-old, who was crowned the game’s best when he won the Ballon d’Or in January, will battle it out with Steph Curry, Lewis Hamilton, Jordan Spieth, three-time winner Usain Bolt and Novak Djokovic, who has won the crown twice. 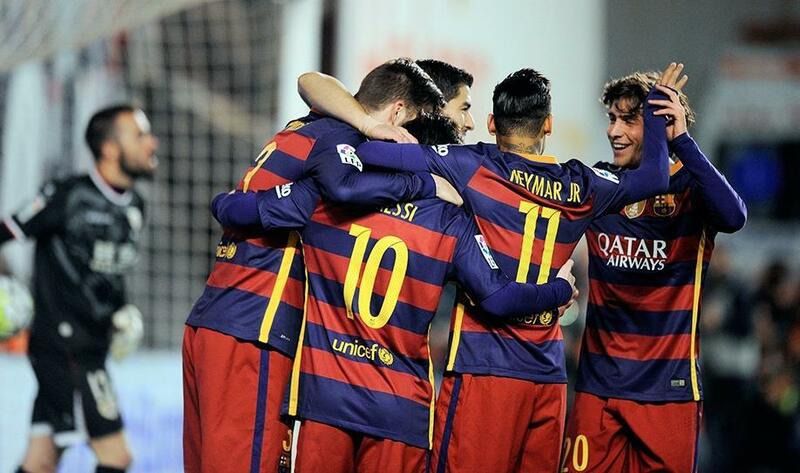 Barça find themselves up against the US women’s national football side, as well as the Mercedes F1 team. The World Cup-winning New Zealand rugby team, record-breaking NBA outfit Golden State Warriors and the Great Britain Davis Cup side are also up for the gong. 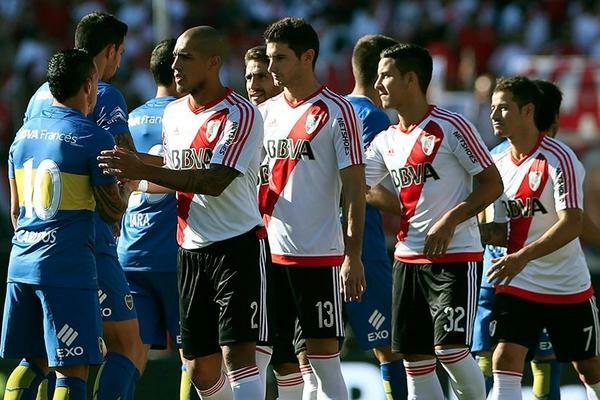 10/12 River 0-0 Boca: Nothing super at the Monumental stadium: By the interzonal of the sixth round of the First Division Championship of Argentina, River and Boca equaled without goals in the Monumental, in a Superclásico that went from high to low. The first half was almost exclusively local. 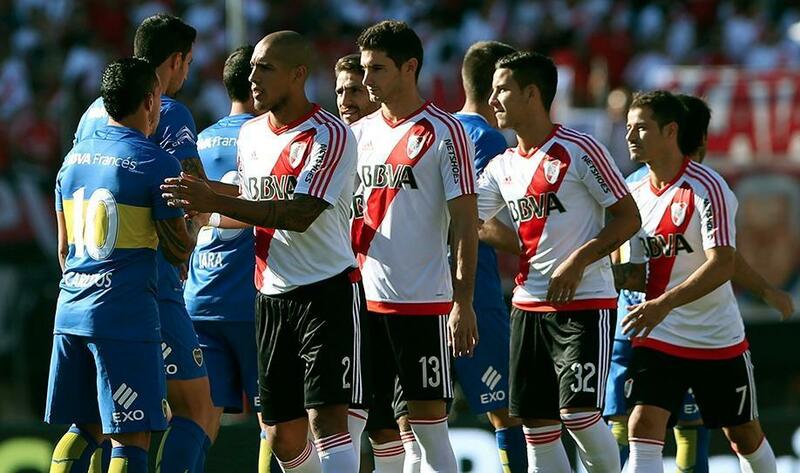 The second half was very different, because River didn’t dominated Boca easily. 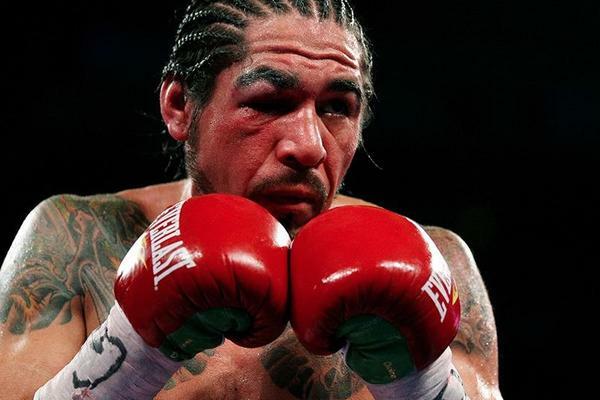 11/12 Antonio Margarito ends six-year win-less wait in Mexico City: Antonio Margarito had a triumphant return after a four-year retirement to win by unanimous decision over Jorge Paez Jr. at Mexico City Arena. 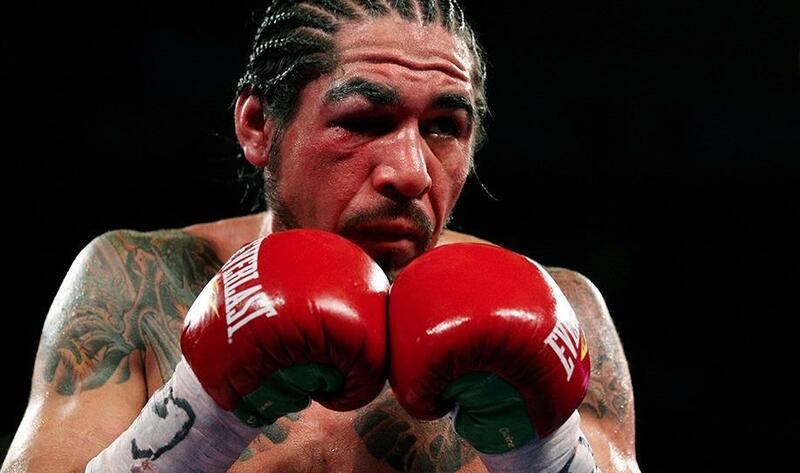 At the end of the ten rounds, the cards added read: Humberto Olivares gave 95-94, 97-93 from Hector Ortiz and Rafael Hernandez had it 96-93, all in favor of the "Tijuana Tornado". 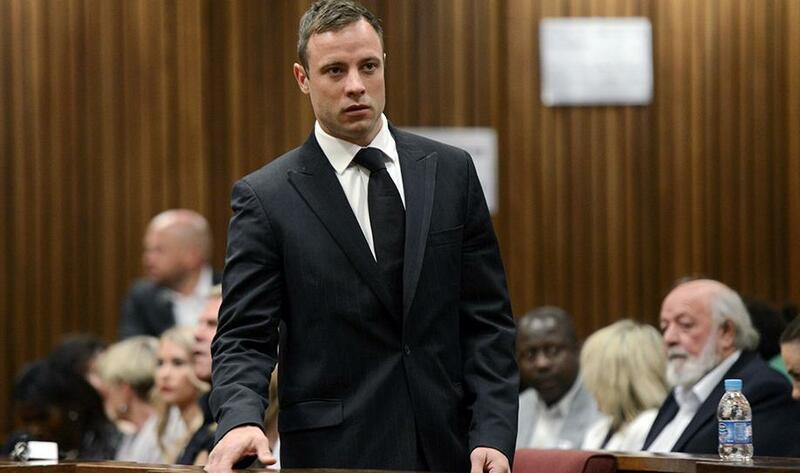 12/12 Pistorius' bid to appeal against murder conviction denied: Finally, the Constitutional Court in South Africa has denied Oscar Pistorius the right to appeal against his conviction for the murder of Reeva Steenkamp. He is next due in court on 18 April for fresh sentencing on the murder conviction. 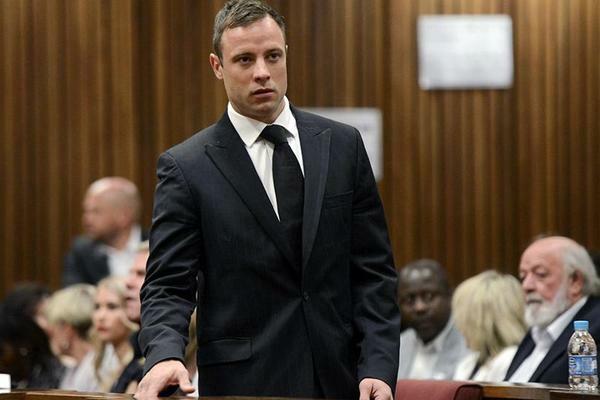 The athlete was originally sentenced to five years in prison for the culpable homicide conviction, but was released one year later under house arrest.